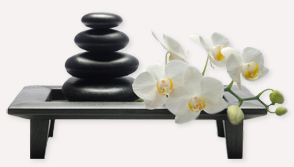 Integrative Therapeutic Massage is a unique approach which seeks to honor the entire experience of the individual and is based on the principles of mindfulness, embodiment, and holism. By focusing on breath, movement and physical sensation, sound, verbal interaction and creative integrating strokes, we seek to open the body from its armoring and holding patterns. Opportunity to change, along with a greater sense of self as a human spirit is a pleasant side effect of Integrative, as is the ability to . . . BREATHE DEEPLY.